The papers in this volume study the relationship between language use and the concept of the “tourist gaze” through a range of communicative practices from different cultures and languages. 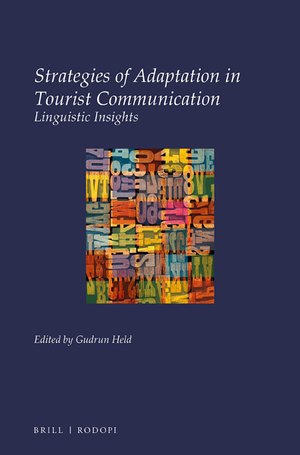 From a pragmatic perspective, the authors investigate how language constantly adapts to contextual constraints which affect tourism discourse as a strategic meaning-making process that turns insignificant places into desirable tourist destinations. The case studies draw on both, in situ interactions with visitors, such as guided tours and counter information, old and new mediatized genres, i.e. guide books, travelogues, print advertising as well as TV-commercials, service web-sites and apps. Despite the diversity of data, one of the common findings in the volume is that staging the sensory ‘lived’ tourist experience is the lynchpin of all communicative practices. Hence, the use of tourism language reveals itself as the mirror of how ‘people on the move’ continuously enact as ‘tourists’ and ‘places’ are constructed as must-see ‘sights’.